On July 24, 1911, American historian Hiram Bingham discovered Machu Picchu, an ancient Inca settlement in Peru. 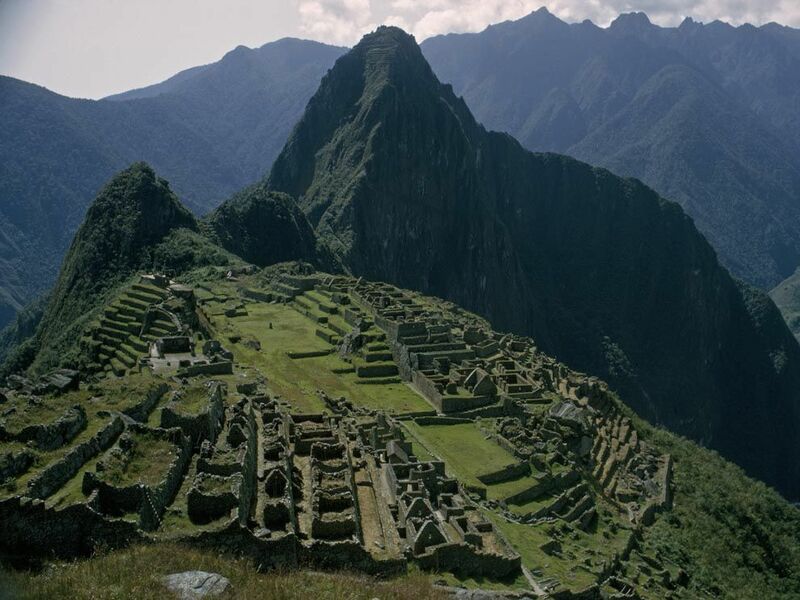 The remains of the ancient Incan city of Machu Picchu, Peru, were discovered in 1912 by Hiram Bingham. On July 24, 1911, American historian Hiram Bingham discovered Machu Picchu, an ancient Inca settlement in Peru. Bingham was fascinated by the “lost” history of the Inca Empire, and intrigued by the ruins he explored near the city of Cusco. A farmer told Bingham and his team that there were more ruins on top of a nearby mountain. The farmer called the mountain Machu Picchu, an indigenous phrase for "old peak." Bingham and his team walked and rode mules to the top of the mountain, where they saw the stone entrance to the old city. Machu Picchu has enormous significance as an archaeological site, largely because it remained untouched during Peru’s Spanish colonial period. Archaeologists consider pre-Columbian sites like Machu Picchu “intact.” Machu Picchu, a UNESCO World Heritage site, is also one of the most popular tourist destinations in the world. place where evidence of the past is being studied by scientists. type of government where a geographic area is ruled by a foreign power. place where a person or thing is going. person who studies unknown areas. to cause an interest in. to inspire interest or curiosity. having to do with the Americas before the arrival of Christopher Columbus in 1492.
remains of a destroyed building or set of buildings. person who travels for pleasure.